I envisioned myself working in film at the early age of 7. At that time, it seemed as if it were only a dream. I loved every Hitchcock, Kubrick, Lynch, Nolan, Scorsese film I could get my hands on. Fascinated by the imagery, the lighting, the camera moves and the many other ways a story could be told to captivate the attention of the humans of the world... I knew that my future was only to be in creating moving images and telling stories that I could share with the world. I decided to go against the odds and make my dreams happen. In order to stay focused and achieve this goal, I knew that I should attend Columbia College Chicago. From there, I gained a lot of experience making short films, working on commercials, etc… I very quickly learned that anything is possible if you’re passionate and believe in yourself. During my time in Chicago, I was given the opportunity to work on many projects including ones directed by major Hollywood directors ranging from Michael Bay, The Wachoswkis, Neil Burger, Jason Bateman, etc… Once I gained experience from school and on big cinema sets, I continued to challenge myself and relocate to New York City in order to continue to grow as a cinematographer and filmmaker. Influenced by some of the friends that I had made on my journey thus far, NYC was the perfect fit for me. 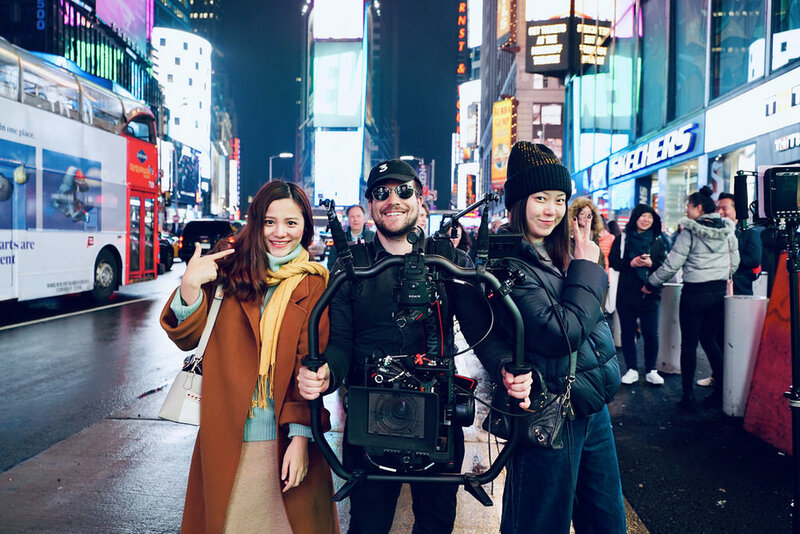 Since the move to the big apple, I’ve made a wide range of commercials for large brands, filmed a lot of narrative projects and worked with a ton of world class talent. Extremely grateful for my career thus far and am ecstatic for the future of my career.